What Happens When You Sleep in Contacts? Did you know that 61 percent of the population wear either glasses or contact lenses at least sometimes? Many people are increasingly switching from glasses to contact lenses. Nowadays, over 45 million Americans wear contact lenses, according to the Centers for Disease Control and Prevention. But if you want to switch to contact lenses, it’s difficult to decide which is right for you: daily contact lenses or monthly contact lenses. Keep reading to find out about the pros and cons of each to help you decide what’s right for you. Let’s go! 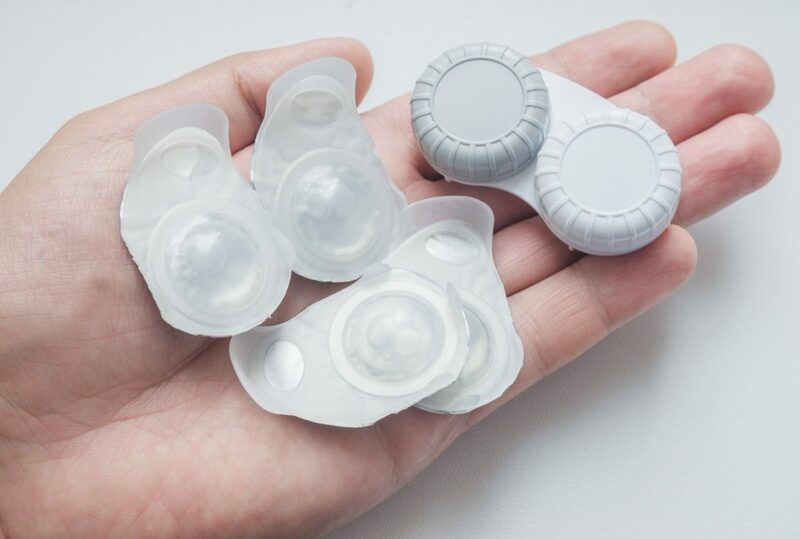 Daily contact lenses are disposable single-use lenses. They are normally made from thin materials with high water content. Due to the deposits from your eyes that build up over the day, daily contact lenses are advised not to be used more than once. Daily contact lenses are really convenient and easy to use. You just put them in during the morning and throw them away at night. This can save you lots of time since you don’t have clean them or store them overnight. Because they’re only worn for one day at a time, the build-up of natural deposits is much less. This means that you are less at risk of eye infections or allergies. You’re also unlikely to incur dry eyes for shorter periods of time. Even though daily contact lenses are suitable for a wide range of people. They are especially appropriate for new wears who aren’t used to contact lenses. Dailies can be a better introduction to newbies. Younger people are more likely to rip or tear monthly lenses. This doesn’t matter so much when it comes to daily contact lenses. While occasional contact lens wearers often find that dailies are much better for them. If you only want to wear contact lens when you go out for an evening or do sport, it’s perhaps better to go for dailies. Now you know the benefits of daily contact lenses, let’s take a look at some of the downsides of dailies. It is usually much more expensive to use daily contact lenses than monthlies. Even though with monthlies you also have purchase solution to clean them, it’s overall still costly to go with dailies. It’s definitely not safe for you to fall asleep with your dailies in your eyes. They are simply not designed to sleep with. You don’t want to risk it! We live in a throw-away culture, disposable lenses are part of this culture. 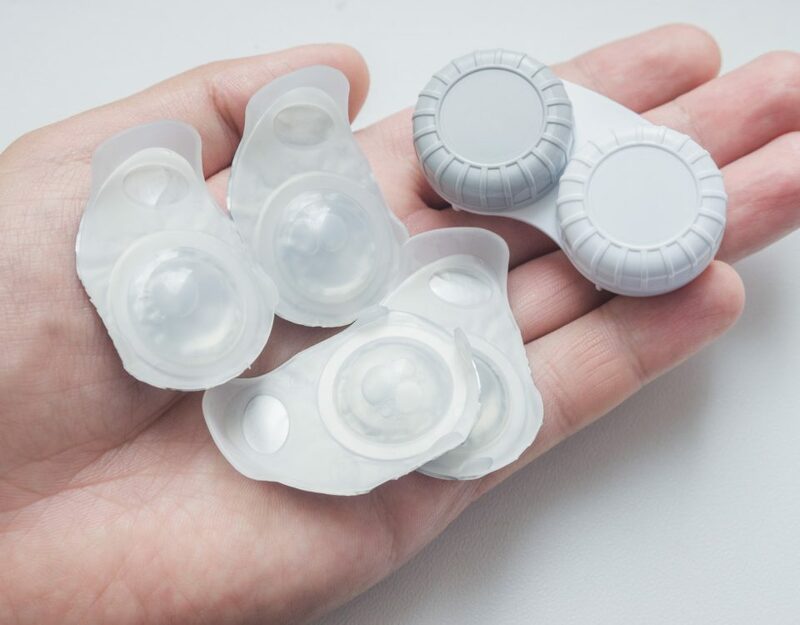 If you want to be environmentally friendly, you should look for an alternative to daily contact lenses. Daily contact lenses are made of a thin and delicate material. While this allows them to be comfortable in your eye, it also means they are easy to damage and tear. 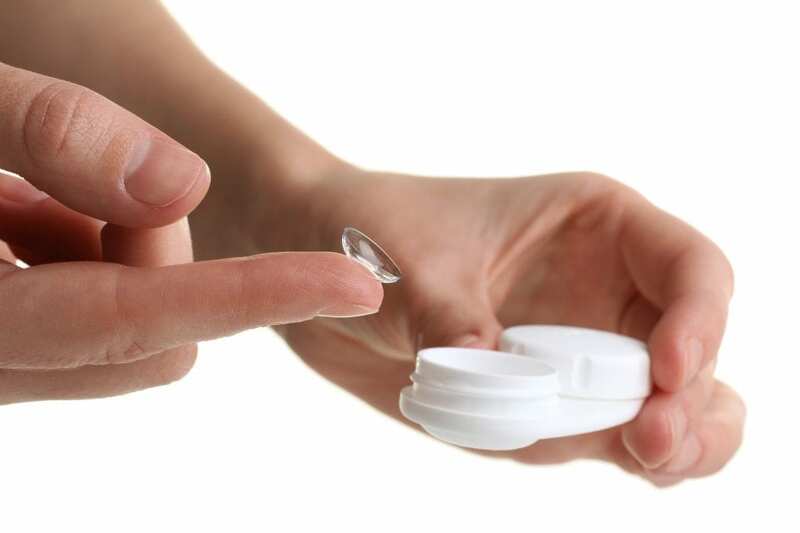 Monthly contact lenses, or bi-weekly ones, are much thicker and robust than daily contact lenses. This makes them more resistant to drying out but they must be maintained in solution when not in use. Let’s take a look at the pros of monthly contact lenses. 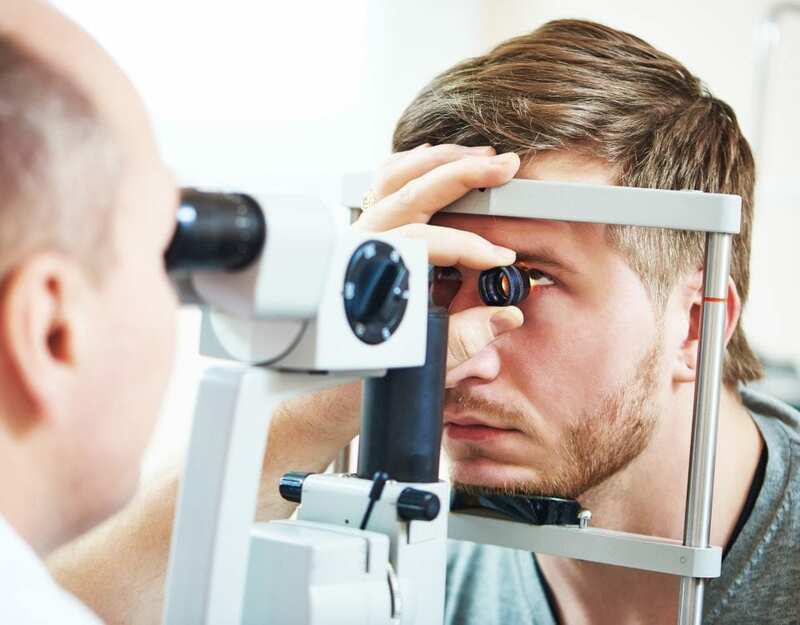 Even though you have to pay for the solutions for the lenses and any complications that may arise as a result of wearing monthlies, they are more cost-effective overall. This is especially true if you ensure that you follow the instructions of your optician. Although it’s never recommended that you sleep in your monthly contact lenses, it’s not as harmful to sleep in monthlies. There are some kinds of monthlies that are approved for sleeping. It’s important to check this with your optician. Instead of throwing away your daily lenses each day, monthlies can last you throughout the month. This makes them the environmentally friendly option because they’re less wasteful. Now you know the pros of monthlies, it’s time to find out what’s the negatives of getting monthlies. You’ll accumulate a lot more build up of deposits with monthlies. This means that the risk of complications arising is much higher. This can be avoided if you ensure that you regularly clean and store them appropriately. But this can be a real pain to remember to do each day when you go to bed. It’s really easy to forget that your monthlies need replacing. Many people end up overwearing their monthlies over the approved period of time. Therefore, it’s essential that you set a reminder on your smartphone or calendar to replace your monthlies with new ones. 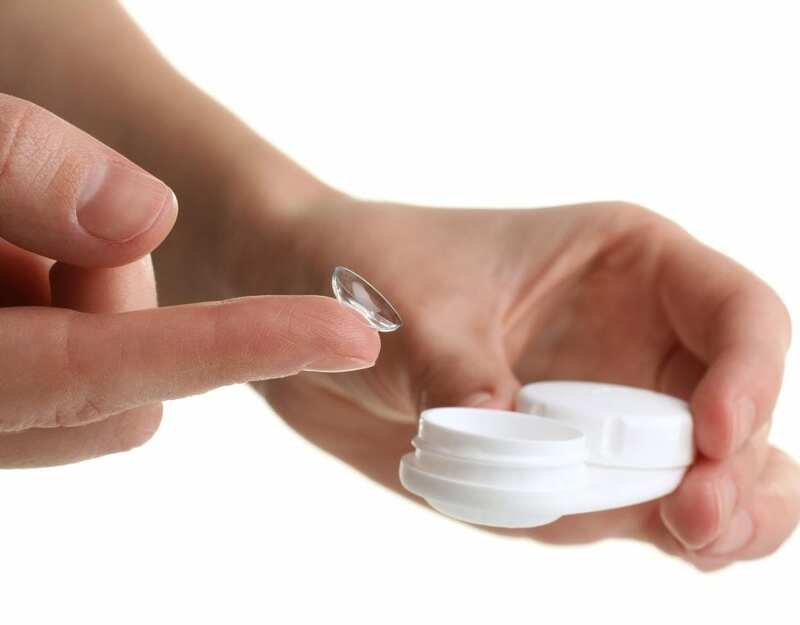 If you damage or lose your monthly contact lenses, you’ll have to replace them. Although monthlies are cost-effective compared with dailies over the entire year, if you keep breaking or losing them, it’s expensive to replace. 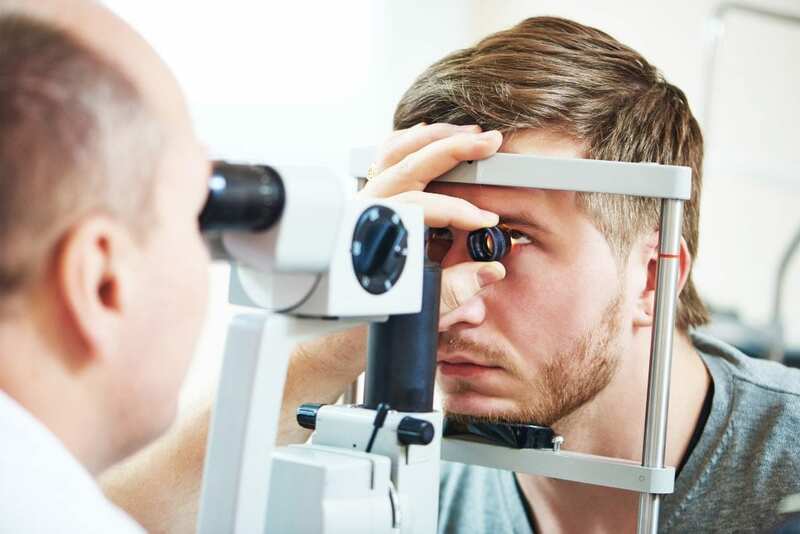 Do you need to get contact lenses? It’s difficult to decide whether daily contact lenses or monthly ones are right for you. With our list of the pros and cons of each, you can make an informed choice which is right for you. If you live in Idaho and need help ordering contact lenses, contact us at Idaho Eye Pros today. To better serve you, we have offices conveniently in Boise, Nampa, Twin Falls, and Idaho Falls. We also make it easy for you to order contacts online, so you can get the lenses you need anytime, day or night!